Today is the final day of National Science Week 2018. But don’t despair! That doesn’t mean that you have to stop sciencing! There are still loads of events happening around the country after today, and every other day too! Through the Inspiring Australia National Framework – Local Action approach, there is an Inspiring Australia Manager in each state and territory dedicated to encouraging communities to create, collaborate, curate and participate in public science engagement opportunities throughout the whole year. You can find contact details for the Inspiring Australia State and Territory Managers here. Parents, teachers and students can also find events all year round at the STARPortal website. Launched in National Science Week 2017, the STARPortal is the go-to place for families and teachers to discover local STEM activities for the children in their lives and for providers to find partners for collaboration. ANSTO’s new virtual reality (VR) app – now live within the App Store and Google Play for free download. For the first time ever, Australians can use the power of VR to take an amazing journey to the scale of an atom and go inside OPAL. Future Martians Podcast In this 12-episode series, Mars One astronaut candidates Josh Richards and Dianne McGrath speak with other candidates about the Mars One project, motivations for applying for a one-way mission to Mars, and what they are doing to become Future Martians. These are just a snapshot of the many science events held year-round across the country. 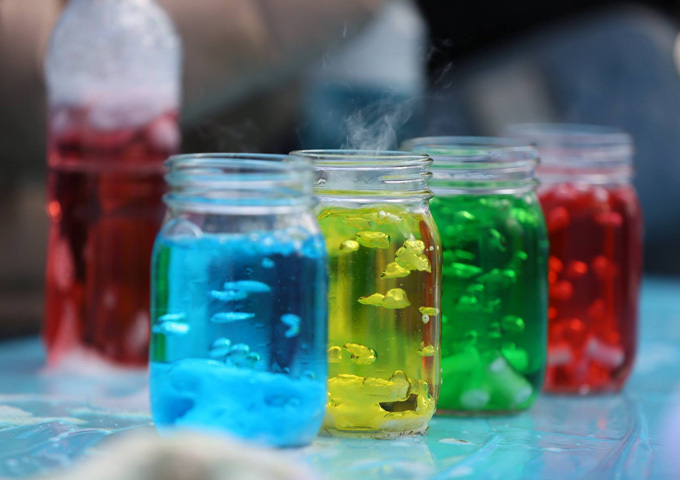 As National Science Week 2018 draws to a close, there’s no shortage of opportunities to keep you sciencing while you eagerly await Science Week 2019 to come around!